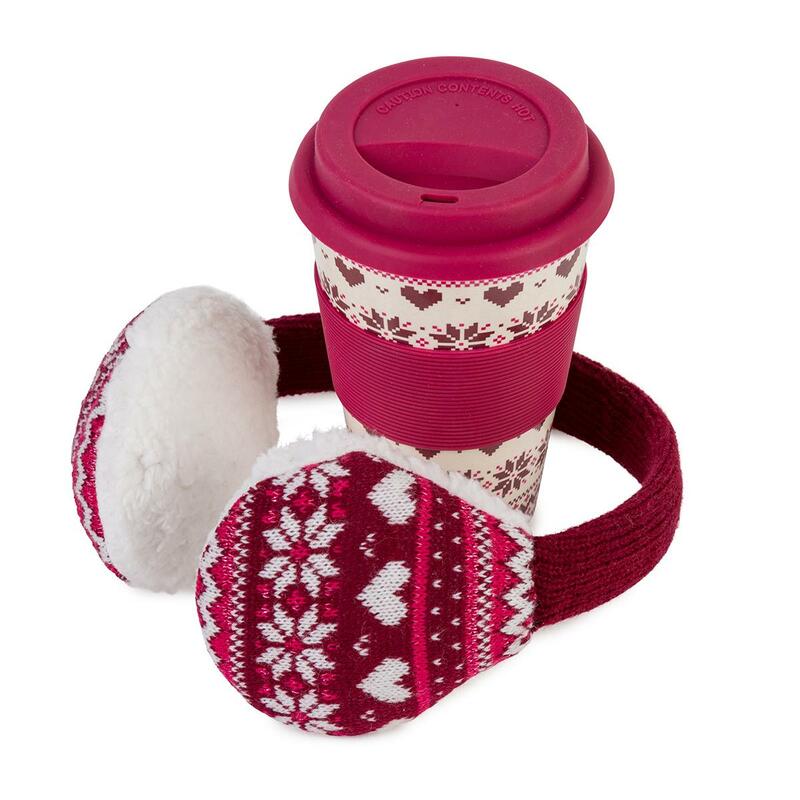 Bamboo Travel Mug in a Fair Isle Design with Silicone Wrap and Lid,Sparkle Knit Earmuffs with a Warm Sherpa Lining. Earmuffs: Hand wash only. Not suitable for machine washing, bleach, dry clean, iron or tumble dry. Travel Mug: Not Microwavable, Dishwasher Safe - Wash before use.